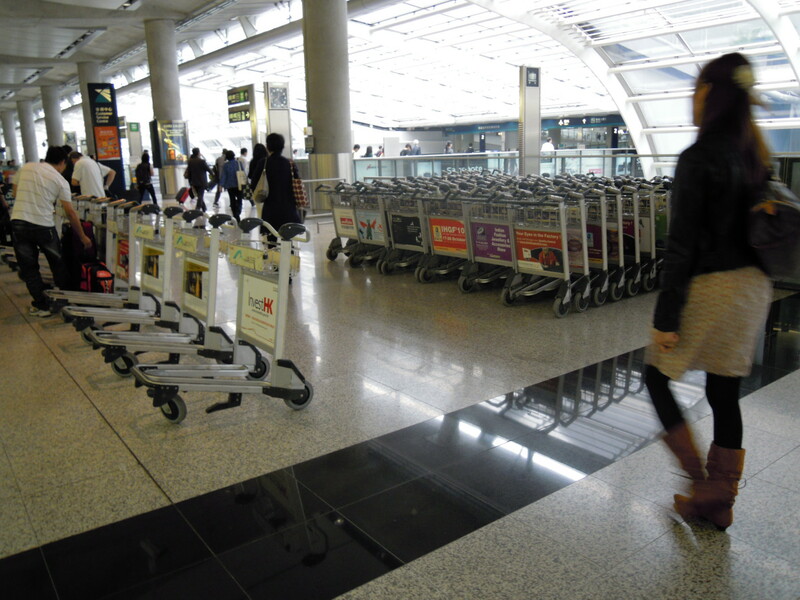 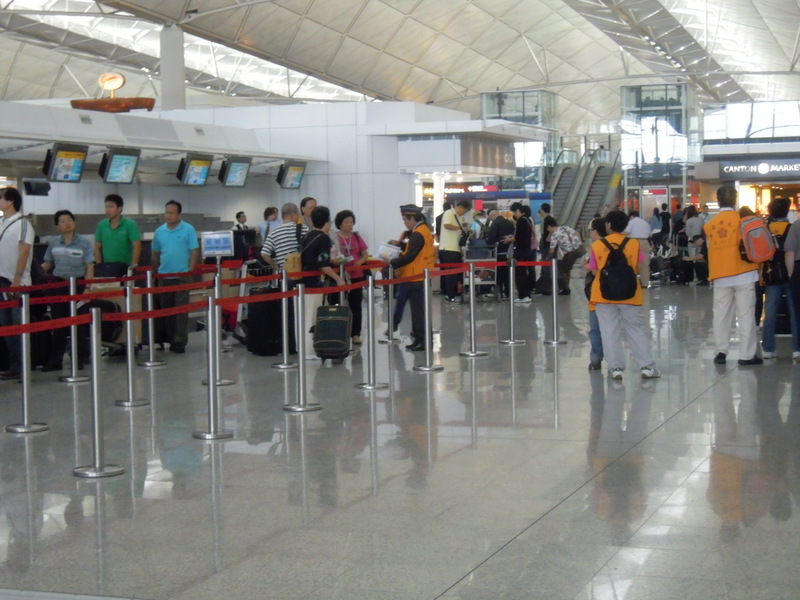 Why travellers from the US, Europe, or the UK will most certainly be envious of the HK airport; two extremely good reasons are that there are rarely long line ups at check-in counters or moody looking immigration officers to dampen your trip. 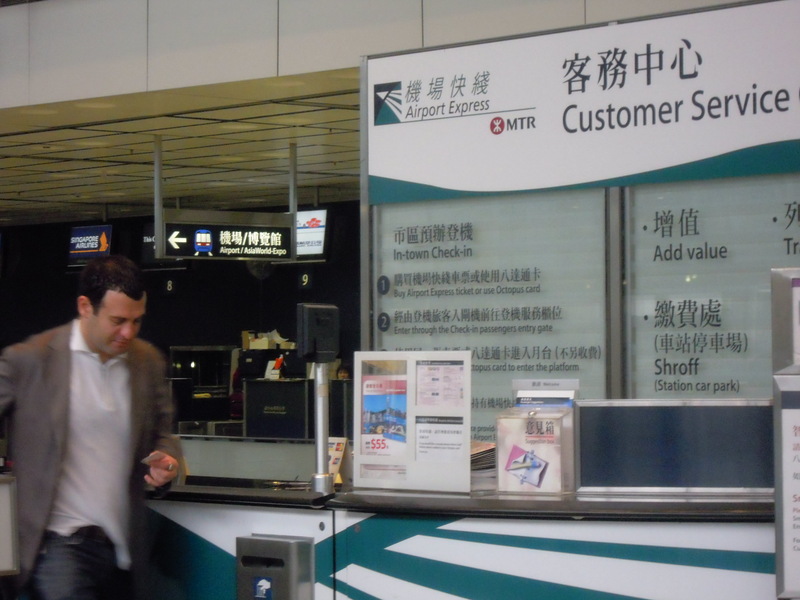 One of the features of the HK airport I really like is the “in-town” check-in service that is available at 3 different parts of towns that are connected by the airport express train. 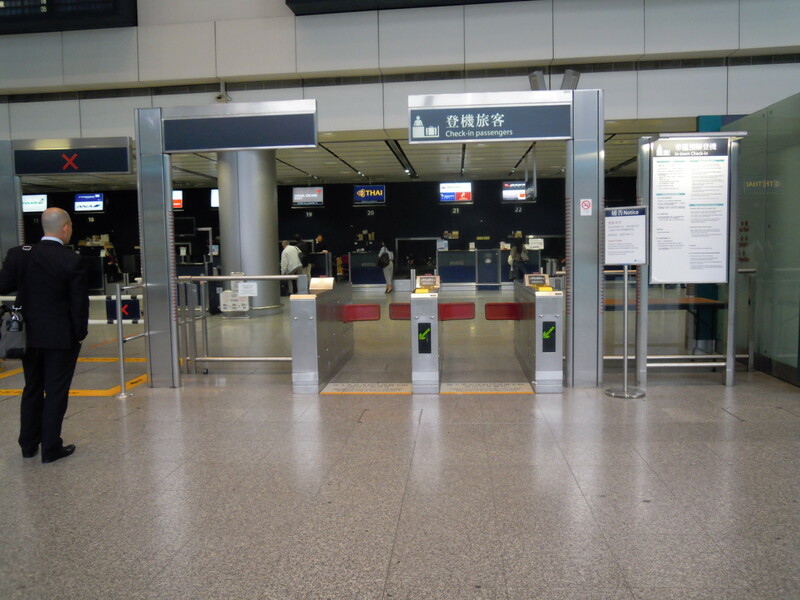 Rather than having only one check-in station at the airport, passengers could choose to check in at any one of the three airport express train stops; this drastically divert the number of passengers that do check-ins at the airport, drastically reducing congestion and human traffic jams at the airport. 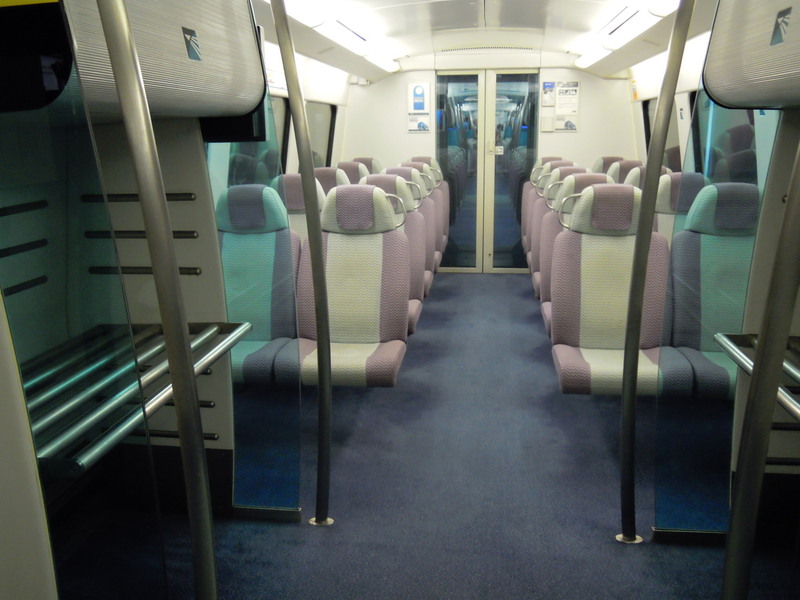 I love the in-town check in service because after the airline checked you in, you also drop off your luggage; therefore, when you’re on the airport express train, all you will have are the carry-on luggage. 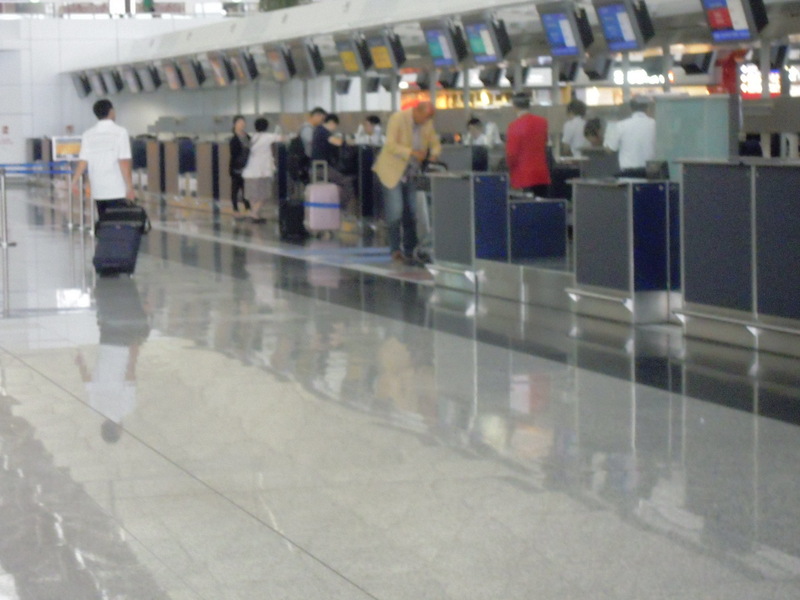 At the end of the day, I believe what makes a good airport is one that doesn’t cause passengers stress and give them a bad experience through long line ups and lack of help and assistance when they’re desperately needed.